Box of 100.Made from soft spun bonded non-woven fabric. 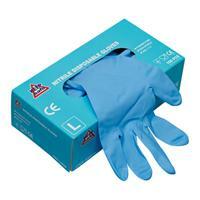 Ideal for use in a clean environments on order to prevent contamination. The mask is elasticated for comfort and makes sure the protection stays in place. 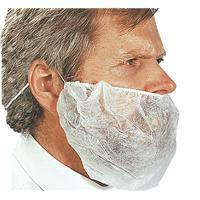 The beard mask is both lightweight and breathable to ensure user satisfaction. A lightweight breathable hood, made in a polyester warp-knit fabric. With a short neck, eye-slit and elasticated hem. An all-time-low cost of only 76p! A lightweight breathable hood, made in a polyester warp-knit fabric. With a short neck, eye-slit and elasticated hem. 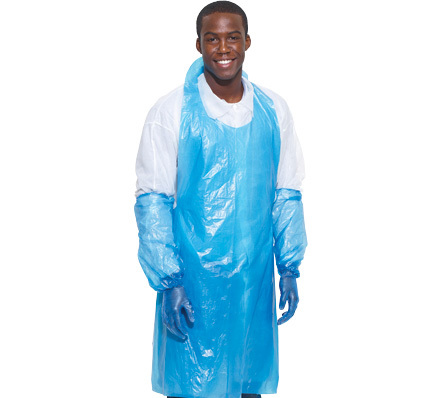 At just 76p, our disposable coverall range is excellent value for money! A lightweight breathable hood, made in a polyester warp-knit fabric. With a short neck, eye-slit and elasticated hem. 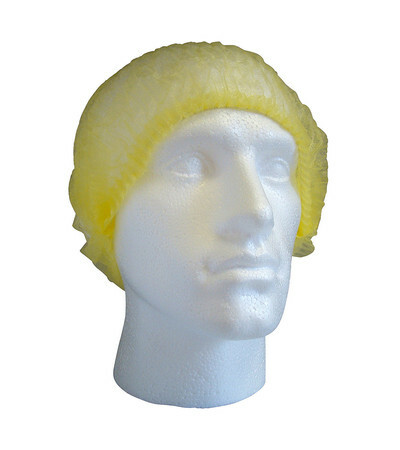 At just 76p, this balaclava is high quality yet budget priced! Roll of 200. User-friendly Apron-on-a-roll. Eliminates cardboard contamination and problems associated with dispensing bulk packed aprons. Perforated for easy dispensing. Inner roll poly sleeved for improved hygiene. Super-low price of just £5.48! User-friendly Apron-on-a-roll. Eliminates cardboard contamination and problems associated with dispensing bulk packed aprons. Perforated for easy dispensing. Inner roll poly sleeved for improved hygiene. Our cheapest price of only £5.48! Box of 200. Box of 200. Order NOW for a mega-low £5.48! User-friendly Apron-on-a-roll. 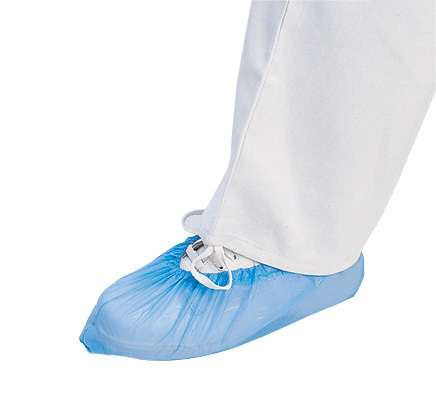 Eliminates cardboard contamination and problems associated with dispensing bulk packed aprons. Perforated for easy dispensing. 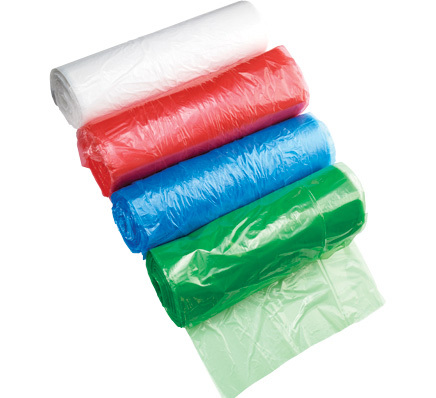 Inner roll poly sleeved for improved hygiene. Box of 200. User-friendly Apron-on-a-roll. 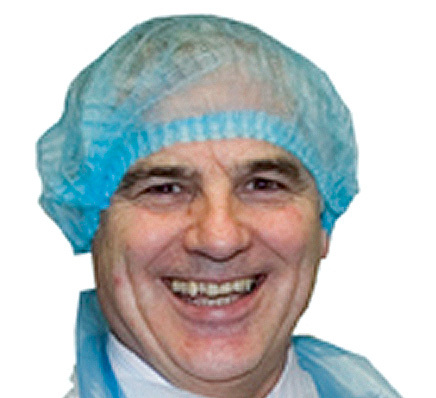 Eliminates cardboard contamination and problems associated with dispensing bulk packed aprons. Perforated for easy dispensing. Inner roll poly sleeved for improved hygiene. £5.48 for this top-class apron-on-a-roll! Box of 200. User-friendly Apron-on-a-roll. Eliminates cardboard contamination and problems associated with dispensing bulk packed aprons. Perforated for easy dispensing. Inner roll poly sleeved for improved hygiene. A price-busting cost of only £5.48! Pack of 100 disposable aprons in a poly pack. Manufacture from opaque polythene. Top-class quality for only £2.89! Pack of 100 disposable aprons in a poly pack. Manufacture from opaque polythene. Impressive value for money at only £3.85! Pack of 100 disposable aprons in a poly pack. Manufacture from opaque polythene. For only £3.85, order yours NOW! Pack of 100 disposable aprons in a poly pack. Manufacture from opaque polythene. One of the cheapest online at just £2.72! 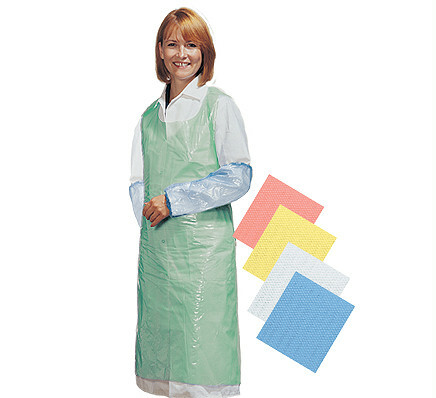 Pack of 100 disposable aprons in a poly pack. Manufacture from opaque polythene. Offering extremely good value for money at only £3.85! Box of 100. Tough, hard wearing, elasticated top overshoes to protect carpets when working indoors. 100% polyethylene material. Landing at an incredibly low price of just £2.41! Box of 100. Manufactured from low density polyethylene (LDPE). 16" in length with enclosed elastication at both ends. We are offering these top-class oversleeves for a minuscule £1.92! Box of 100. Manufactured from low density polyethylene (LDPE). 16" in length with enclosed elastication at both ends. Truly great value at just £1.92! Box of 100. Manufactured from low density polyethylene (LDPE). 16" in length with enclosed elastication at both ends. For a minimal price of just £1.92! Box of 100. 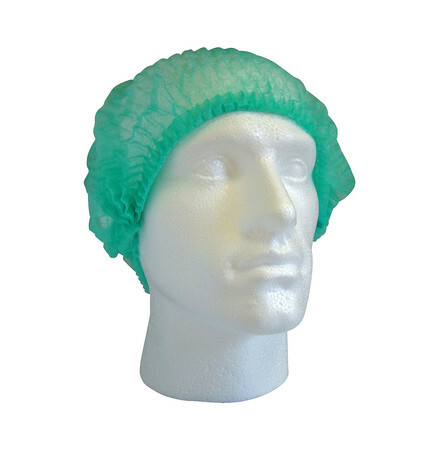 Popular non-woven cap with elasticated snood to give total hair cover. Unmissable value at only £5.77! Box of 36. 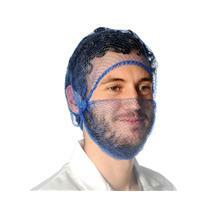 Beard Snood for a budget-saving price of only £7.23, order yours from SSD NOW! Box of 100. Manufactured from low density polyethylene (LDPE). 16" in length with enclosed elastication at both ends. Offering one of the best online prices, just £2.41! Made from non-woven material. Press stud fasteners, no pockets. Coats individually packed in polybag for improved hygiene. In stock and available to order NOW for a fractional £1.01! Box of 100. A soft lightweight double stitched fully elasticated cap made from a non-woven fabric offering total head cover. A fantastic price point of only £2.86! Box of 100. A soft lightweight double stitched fully elasticated cap made from a non-woven fabric offering total head cover. Immensely low price of £2.86! Box of 100. Landing at an all-time-low of just £2.86! A soft lightweight double stitched fully elasticated cap made from a non-woven fabric offering total head cover. Box of 100. A soft lightweight double stitched fully elasticated cap made from a non-woven fabric offering total head cover. For only £2.86, order yours with SSD TODAY! Box of 100. A soft lightweight double stitched fully elasticated cap made from a non-woven fabric offering total head cover. High quality mob caps for just £2.86! Box of 100. A soft lightweight double stitched fully elasticated cap made from a non-woven fabric offering total head cover. Class-leading quality for a minimal £2.86! Box of 100. 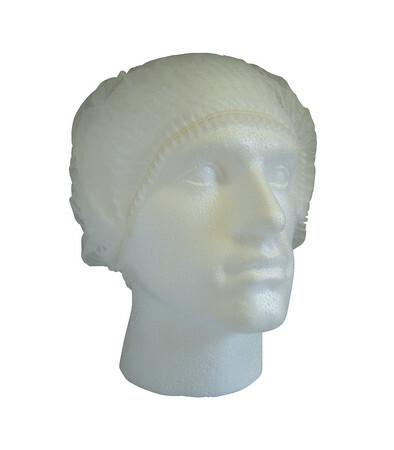 A soft lightweight fully elasticated cap made from a non-woven fabric offering total head cover. Outstanding value for money with SSD, only £2.41! 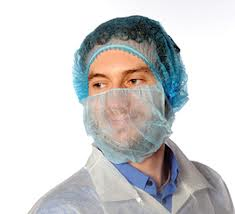 We stock a huge variety of catering and food preparation clothing, this includes disposable coveralls, over-sleeves, over-shoes, gloves, hairnets, beard snoods and more!